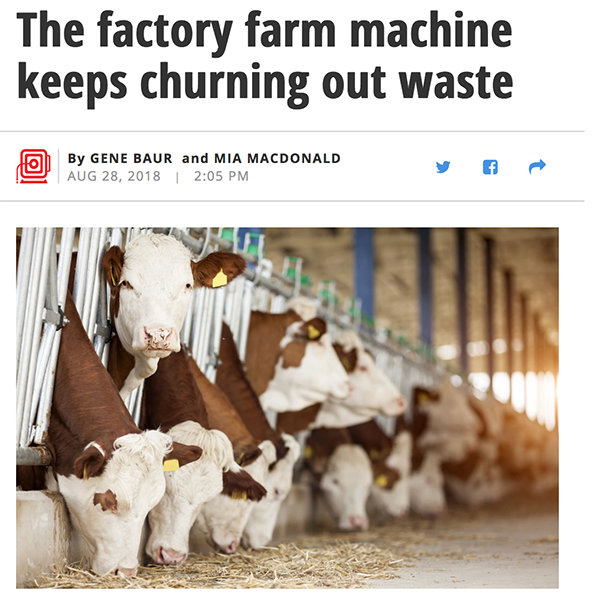 Executive Director, Mia MacDonald, along with Gene Baur of Farm Sanctuary, have written an op-ed called “The factory farm machine keeps churning out waste” in the NY Daily News. They discuss the concerning amount of waste that has been accumulating as a result of our agricultural systems being geared to overproduction. There is a priority placed on monocultures of feed-crops, which results in losses of biodiversity, top soil, small farmers, and the slaughter of 70 billion farmed animals. To address theses problems, they look at solutions of resilience, restoration and regeneration.